Xiaomi is the best known all over the world for its delivering the value under the budget and latest Redmi Note 4 phone, which will likely carry that forward. The new phone is provided in the market with large 5.5” IPS display with FHD 1080p resolution and this phone has 2.5D curved glass on the frame and the aluminum design, which is plus for the mid range mobile phone. There is no other company, which is releasing the smart phone in this price range with the metal body. The clients will get the under powered and most efficient 14 mm Snapdragon 625 processor and it is provided with RAM and storage combinations of 2 GB/32 GB, 3 GB/32 GB and 4 GB /64 GB. It is added with Adreno 506, which will handle the graphics in Redmi Note 4. The smart phone is added with13 MP CMOS shooter with 77 degree wide angle with PDAF and the dual tone LED flash. Below the camera set up, there is fingerprint scanner and the front camera is featured with 85 degree 5 MP CMOS shooter. The mobile phone is supported with the dualism through hybrid dual SIM slot. The smart phone, Redmi Note 4 runs the older 6.0 Marshmallow with MIUI 8 and the battery has the power of 4100 mAh unit and it lasts up to 2 days. Now the company has made 25 percent more improvement in its predecessors the Redmi Note 3. The price of this newly launched handset is set at $146 for the base variant and $161 for the 3GB memory variant or $190 for top end model with 4 GB RAM. 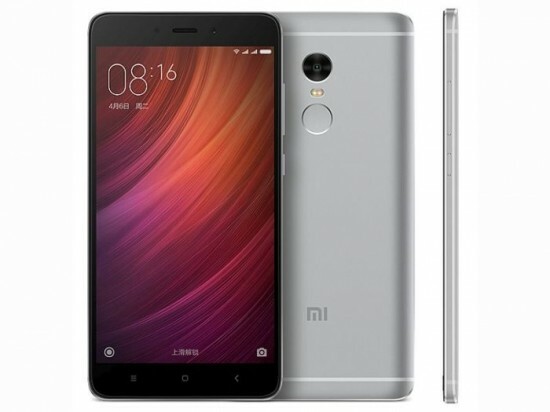 The smart phone, Redmi Note 4 is going to be the most formidable budget offer in the market.